 BUDGET The PSD-ALDE ruling coalition has finalized Romania's draft budget on 2019, which will be submitted for government's approval on Friday. The announcement was made by the country's Finance Minister Eugen Teodorovici on Thursday after a fresh round of talks with the ruling coalition and the mayors. The participants managed to convince the Minister to give up the idea of transferring social expenses to the local administration. During the meeting on Wednesday, which was also attended by Liviu Dragnea, leader of the main ruling party PSD, the mayors were promised 27% more funds than last year. But mayors of Romania's big cities have explained that a budget rise will be insignificant unless the government gives up the idea of transferring social protection expenses to the local administration. The draft budget is based on an economic growth of 5.5%, a 2.5% deficit and an average inflation rate of 2.8%. TALKS Romania's Prime Minister Viorica Dancila on Thursday held talks in Brussels with the president of the European Council Donald Tusk and with the First Vice President of the European Commission Frans Timmermans. Major European issues were high on the agenda. During the meeting with Donald Tusk, the Romanian official reiterated Romania's support for a strong and united Europe in all its dimensions, political, economic and social. Referring to Brexit, the head of the Romanian government said that the Romanian presidency of the EU Council would continue to monitor the observance of citizens' rights after Britain's leaving the bloc. During the talks she had with Frans Timmermans, the Romanian official referred to the rule of law and the independence of the judiciary in Romania. Prime Minister Dancila gave assurances the government in Bucharest would take action for the observance of values and principles lying at the foundation of the European construction such as the observance of human rights, the rule of law and the independence of the judiciary, adding that it would also take action so that the Romanian citizens may enjoy the same rights and liberties as any other European citizen. Also on Thursday, Prime Minister Dancila participated in a conference on 'Fighting Antisemitism and Xenophobia' staged by Romania as the current holder of the EU's rotating presidency. According to Dancila, Romania has become a model in fighting Antisemitism and xenophobia as well as a model in terms of education and the measures aimed at preserving the memory of the Holocaust. FILM Romanian production "Monsters" directed by Marius Olteanu will be screened as part of the 69th edition of the Berlin Film Festival which kicked off on Thursday. The film, which is Romania's single entry in Berlin this year, is due to have its opening night on Saturday. 'Monsters', which is vying with 16 other productions, pictures a day in the life of a young married couple. Last year, Adina Pintilie's feature film debut "Touch Me Not" won the Golden Bear trophy in Berlin. The production has been hailed for challenging the borders between fiction, documentary film and visual arts and its unconventional exploration of intimacy.